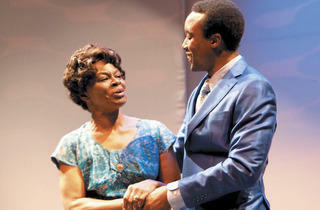 Jackie Taylor's latest bio-musical falls a little flat as family drama, but as usual, the music is the point. Granted time from “The One” to share his story on Earth, Marvin Gaye (Rashawn Thompson) lays out the personal flaws that led to his death: emotional and physical abuse, self-doubt and self-hatred. Much of Jackie Taylor’s script for her latest bio-musical plays like a PowerPoint presentation, beginning with the “Marvin’s weaknesses” slide. Detailing Gaye’s struggles with his father, drugs and women, the book serves as a vehicle for stunning musical performances, but it could use a tune-up. Marvin wants the audience to understand and forgive his father, the man who shot him dead in 1984, although the abusive Marvin Gay Sr. (Donald Barnes) is presented as a wholly unsympathetic villain. Marvin’s relationship with his father is painted in broad strokes that stifle the emotional stakes. 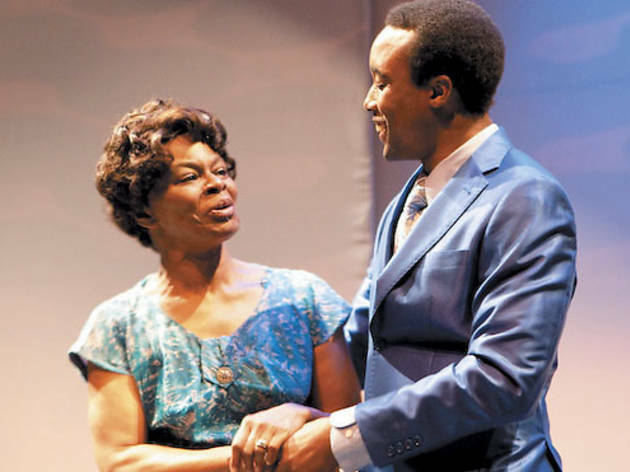 While the family drama fails to take off, the scenes about Marvin’s tumultuous love life pop, thanks to the strong chemistry between Thompson and Melanie McCullough, who does double duty as Tammi Terrell and Janis Gaye. Whatever flaws the script may have, they’re easily forgettable once the music begins. With impeccable support from the band and the magnificent Thompson as its leader, the cast spectacularly re-creates classics like “Ain’t No Mountain High Enough” and “What’s Going On.” The vocal performances are spot-on, but this musical needs some textual healing before it can achieve greatness.